I spotted this online and love the retro vibe and cultural references! It’s available as a T-shirt via this link. 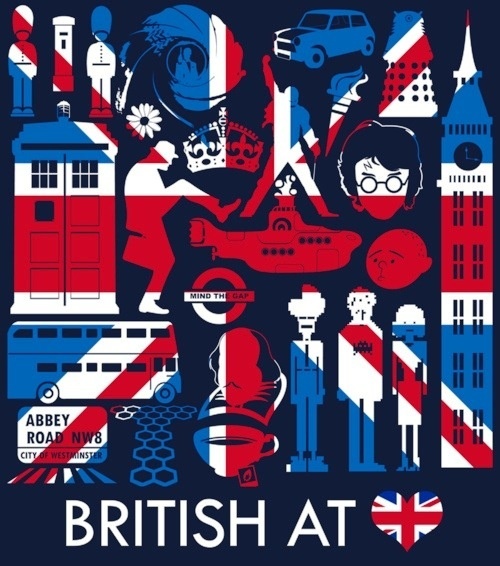 Posted on 25, October 2012, in Clothing, Design and tagged British, British at heart, Doctor Who, Harry Potter, Monty Python, T-shirt, union jack, Yellow Submarine. Bookmark the permalink. 3 Comments. I know! I wish they made posters of this! Reblogged this on Extraordinaryteen's Blog.